Okay! Musume Time: C-ute to Perform in France and Budokan... HOLY HECK YES!!!! C-ute to Perform in France and Budokan... HOLY HECK YES!!!! From April 3rd's Release event of their latest single Crazy Kanzen na Otona, it was revealed that C-ute will be performing at Nippon Budokan on September 10th, one of Japan's most well-known and biggest venues for live performances. It was also announced that C-ute will perform in France on July 5th. My sister told me about this news today and I was really surprised, but also extremely happy that C-ute have come so far and are able to perform at Budokan. As far as I know only MoMusu have performed there out of the current lineup in Hello! Project, so to know that C-ute, who have steadily been growing in popularity since 2009, have been able to secure a place there to perform makes me extremely happy. It also makes me happy to know that they will be performing at Budokan on September 10th, which is known as C-ute day. It's actually somewhat overwhelming to know that C-ute have been able to secure a place at Budokan and perform there to so many fans. It is also extremely wonderful to hear that C-ute are also going to be performing in Paris. I know that performing overseas is something that all fans want the girls to do, especially if the group is one we love whole heartedly (though I do wish that H!P would not limit themselves to JUST Japan or America... not all of us have passports or the transport money, you know?) so to hear that C-ute are able to perform in France is amazing, and hopefully all fans who live in France or can get there will go to see them. I wish I could go, but I am in the minority of fans who actually don't hold a passport to their name, or money... annoying, right? Anyway, when I saw this video I felt happy and overwhelmed. I also found it funny that Tsunku, the troll that he is, sang their latest track to make them think that there would be a graduation (hahaha, everyone thought it was Airi!) or the groups disbandment. It was an amazing move on Tsunku's part, an ingenious plan if anything, and just fun to watch the girls run around in despair and to have to wait for that dreaded announcement... only to find out that it was amazing news regarding their future performances. 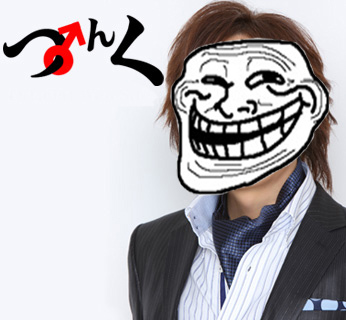 Again, Troll Tsunku... but it was one amazing troll! Damnit Tsunku... you scared us all for a second there! This would have been an amazing April fools though... if it were April Fools!!! To quote what MaiMai said... "YATTAAAAAAAAAAAA!!!!" Frankly this is just awesome news and this means that Eng Sub is not just a gimmick. Hope to see Momusu and Berryz in America again =D P.S I live in Asia so i get to see them live. Thanks UFP for doing this and i'm happy for you western fans. I wish one day a H!P artist would come to the UK but I can't really complain. I could make the effort to go to Paris but sadly, I don't have the money :( Glad for C-ute though! They've done so well. UFP is making fans really happy! Me too, because I live in the UK and don't have a passport, so I kinda wish it would happen... but I am happy French fans get to see them.